Kris graduated from Nebraska Wesleyan University with a bachelor’s degree in Social Work and has spent three years studying Sociology and Minority Studies at the University of Nebraska-Lincoln. Kris serves as a liaison for community partners working with system-involved youth in the Southeast Service Area of Nebraska; providing facilitation of regular community collaboration meetings, providing research and technical assistance to community agencies, representing Project Everlast as a community partner in Lincoln and the surrounding areas, and facilitating a connection between the Project Everlast Youth Council and community agencies seeking the voice of young people in their efforts. 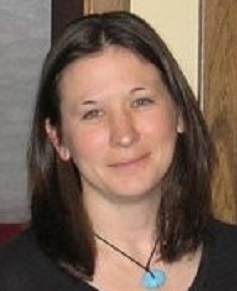 Prior to this position, Kris served as the Project Everlast Lincoln Youth Advisor and Research Specialist for Nebraska Children and Families Foundation.